Some women may wish to add subtle volume to their lips; others may want to soften the appearance of their vertical lip lines. Unwanted lines such as these are often caused by factors such as sun exposure or repeated muscle movement. JUVÉDERM VOLBELLA® XC adds subtle volume to lips and softens the lines around them. 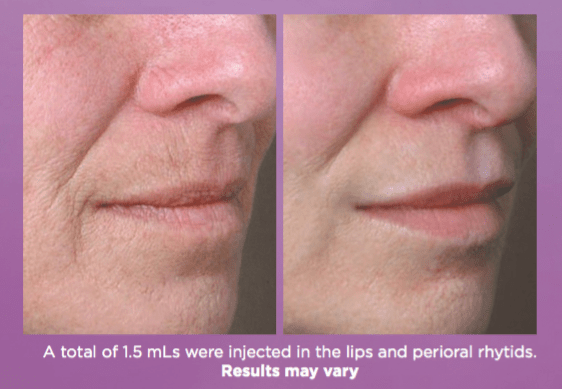 JUVÉDERM VOLBELLA® XC is the first and only filler proven to increase lip fullness and soften the appearance of vertical lip lines for up to 1 year.